Sanctuary Housing is one of Britain’s foremost accommodation providers. Established in 1969, it now manages more than 79,000 units throughout England and Scotland, with properties including general rented housing, sheltered and supported accommodation, together with student residences, key worker accommodation and care homes. 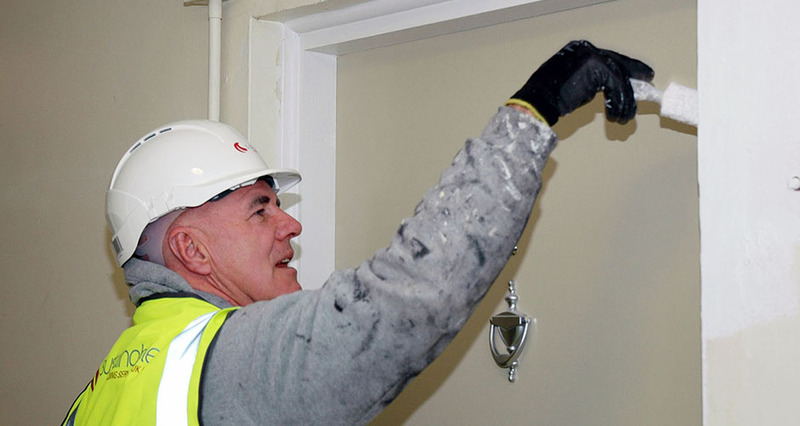 As part of its continuing efforts to improve the quality of its stock and to enhance the living conditions of all residents, Sanctuary established a framework agreement for service providers relating to the delivery of cyclical decoration and pre-paint repairs. Sustainable Building Services duly tendered for lot 3, which covered Lancashire, Cheshire and the Midlands area, and was one of four contractors successfully appointed. The intention as that SBS and the other three companies would then compete to deliver individual projects under the broader framework. The contract was scheduled continue for four years, with the option of continuing for a further three years subject to performance. Sustainable Building Services began by appointing a dedicated team for the contract, including key managers who would be responsible for issues such as quality control, site safety, client communications and engagement with the existing supply chain. Painting materials would be procured from Sanctuary’s nominated paint manufacturer and supplier, Akzo Nobel. The framework included pre-painting repairs, cyclical decoration and, where appropriate, planned maintenance works. The terms of the agreement also noted that the number of the client’s properties might be subject to change over the duration of the contract and that Sustainable Building Services would be expected to operate flexibly to accommodate changes to the scheduled works. This was achieved through close liaison with the client and residents, and SBS sought to deliver best value by identifying efficiency savings across all its activities. Sustainable Building Services won 16 projects within the framework agreement, competing successfully against the other three contractors on the basis of quality and best value.